← Slow Cooker BBQ Pulled Chicken, part 2 – leftovers – grilled cheese! I recently visited a sushi place with some good friends. We had a few options, but ended up going with Spring Sushi on Upper James in Hamilton, Ontario. The price was reasonable at $22 per adult for all you can eat. The decor was pleasant, clean and inviting. The staff were friendly and very quick to whisk away our order sheet and replace it with another as needed. That’s how the orders were done. The menu items were numbered and you simply wrote on the sheet the number of the item and how many orders of each you wanted. When ready, the wait staff snatched up the sheet and before long, food started to trickle out from the kitchen. The food all tasted extremely fresh and very flavourful. 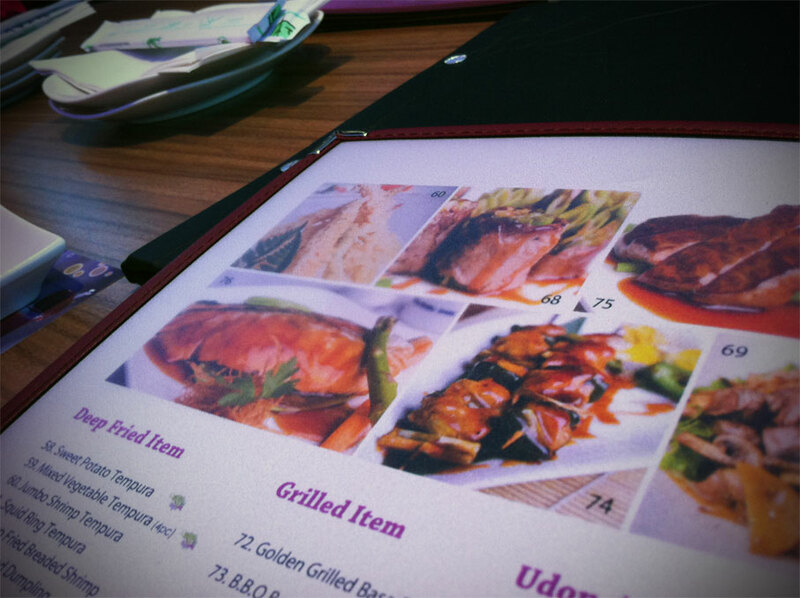 We ordered everything from barbecued eel rolls to chicken skewers. Cucumber rolls followed chicken teriyaki rolls. There were dragon rolls, shrimp rolls and mixed vegetable tempura. Miso soup and grilled chicken soup, vegetable dumplings and rainbow rolls littered our table. All were delicious. All were beautiful to look at. While I skipped dessert, being too full by that point, everyone else enjoyed a small bowl of ice cream, including two who chose green tea ice cream (which apparently was to die for). My only complaint about the visit was that some of the things we ordered never came to the table. When one order of dumplings came with two dumplings and I ordered two orders (so I should have gotten four delivered to the table), I only ever got one order. I had ordered two orders so that I could share. So, I just enjoyed the dumplings myself. A word of note when paying: they take cash or credit, but no debit cards. An ATM is in the entrance, but is one of those ones that you pay through the nose, so either bring enough cash or just bring your plastic. We showed up around 5pm on a Saturday and had our choice of seats but by 6pm or so, the place was rockin’, so I recommend showing up earlier in the evening to avoid a wait, or make a reservation. 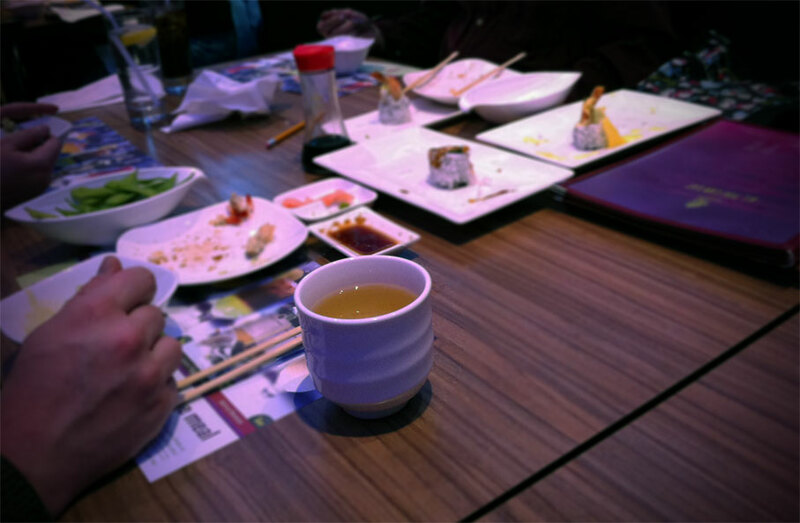 All in all, we thoroughly enjoyed our visit at Spring Sushi and would go back in a heartbeat. Hubby and I are thinking of going there, just the two of us, for a quiet dinner ourselves sometime soon. This entry was posted in dinner, restaurant, review and tagged Japanese, restaurant, review, sushi. Bookmark the permalink.